Leaner & Stronger with Reformer Pilates. Complete our six weeks long ‘intensive’ Reformer Pilates program and you’ll just love the results. In the sessions, your trainer caters for all fitness and skill levels while coaching you through a full body workout, unlike anything you’ve experienced before. The workout itself leaves you feeling energised and on top of the world, the results you can expect; to build lean muscle, increase your endurance, strength, and coordination and generally feeling great. The course comprises of two 30 minute Reformer Pilates sessions and a group Ab, Bum, Thigh (ABT) session, tailor made specific to your goals, along with nutritional advice and pre and post body fat% analysis. These sessions are exclusive and great value with only 2 clients working with the trainer at one time. This makes it more affordable to train 2 x per week FOR MAXIMUM RESULTS. You will develop a strong, balanced and lean body and decrease your body fat%. In particular, you will tone your arms, shoulders, back, abs, quads, improve posture and flexibility! The Program is available now. Your investment for the 6 week program is $299.00 per person. Feedback from the last program. I am flabbergasted by my results! 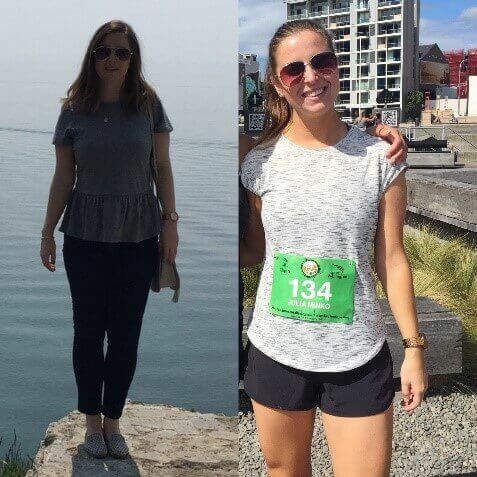 Sarah helped me set realistic, measurable and achievable goals along with working through a food diary and fitness planners. Sarah prescribed targeted fitness and nutritional advice that has contributed to my successful results. This also included getting my body composition done at the beginning and end of the 6 weeks to measure my results. I have achieved my goals and exceeded my expectations of the program. The best part was how fun and enjoyable the reformer pilates sessions have been, Sarah was able to tailor this to my goals and needs. I would highly recommend Sarah as a trainer and this program. Wow what an amazing 6 weeks, THANK YOU!! I have been doing reformer Pilates with Sarah for several months and have noticed my body has strengthened, toned and become more flexible. I used to get neck pain and headaches which have significantly reduced and for what is a highly efficient investment of half an hour twice a week I have a whole new level of fitness.